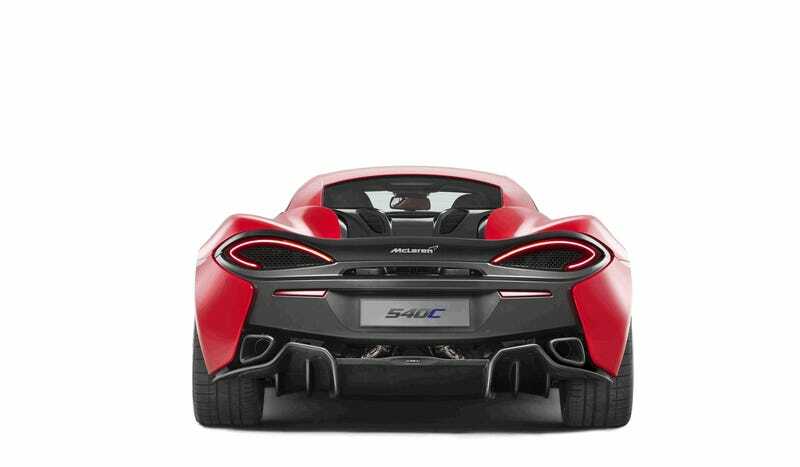 Remember the brand new McLaren 570S, the pretty fantastic first member of McLaren’s Sports Series? That’s a $185,000 car. But for even less, you can get almost the same called the 540C. Thank the Chinese for the cheapest McLaren yet. 0-62mph in 3.5 seconds, 0-124mph in 10.5, a top speed of 199mph and a power-to-weight ratio of 412 horsepower per ton for impressing your friends. What more could you want for your money? The 540C has 533 horsepower instead of 562 mostly to skip heavy taxes in China, but that doesn’t stop McLaren from offering their entry level car in more than 30 countries, including the United States. Thanks to its carbon fiber MonoCell II chassis, the 540C’s dry weight is only 2,890lbs, which means it still has to be plenty fast in capable hands. The seven-speed gearbox, 3.8 twin-turbo V8, the brake steer system and the simplified suspension with front and rear anti-rollbars are all there just like in the 570S, but the adaptive dampers come with softer settings optimized for road usage instead of heavy track duty. Either way, if you can afford a 540C, you’re most likely good for the 570S as well, so I would expect to see more of those out there in the following years. But hey, a cheaper McLaren is always good news.